Is Hanken now the Smartest University in the World? Hanken, The Swedish School of Economics in Helsinki has recently invested in a large number of Naava smart green walls, because Hanken executives believe in the scientific proof that we present for our claim: "Naava makes you smarter, healthier and more productive.” Hanken wants to provide its students the best possible indoor environment. Naavas create the best possible indoor air by purifying it naturally from different chemicals and contaminants. 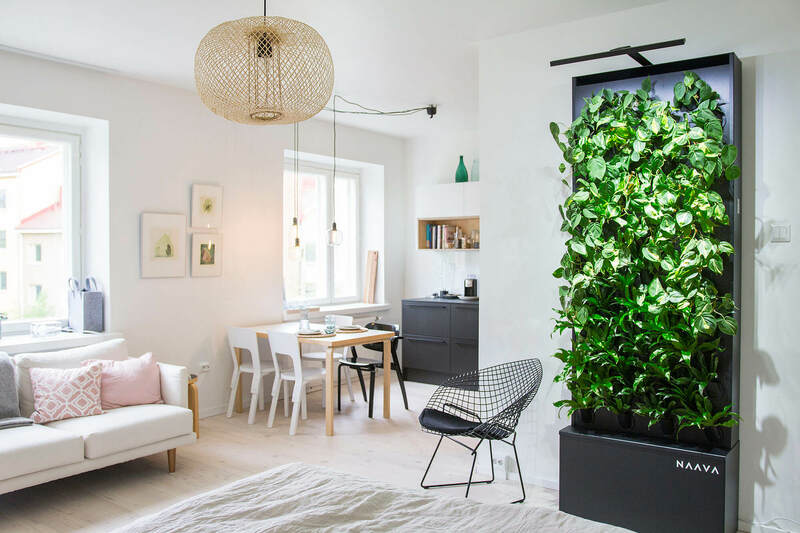 Naava smart green walls naturalize the air by combining nature, high technology and Scandinavian design. 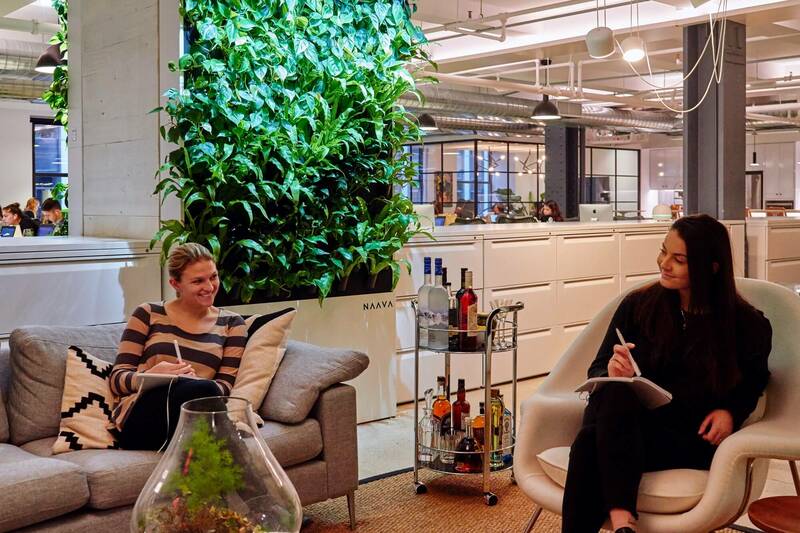 Naava (formerly known as NaturVention) is the company behind these unique green walls. It is the world’s leading biological air cleaning company founded in 2011. 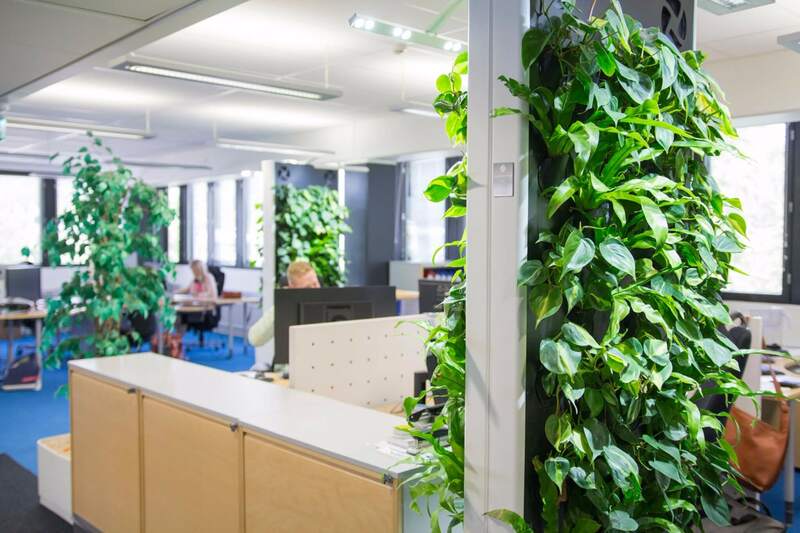 At the moment there are over 500 Naava smart green walls improving the indoor air across Finland, Russia and soon in Sweden. A recent Harvard study proves that it really makes a difference which office air you breath. The study showed that the less carbon dioxide and volatile organic compound exposures you have in indoor air, the better employees scored in cognitive function tests. In addition, “green offices” and facilities with a good ventilation contributed to an even better cognitive function capabilities than the latter one. 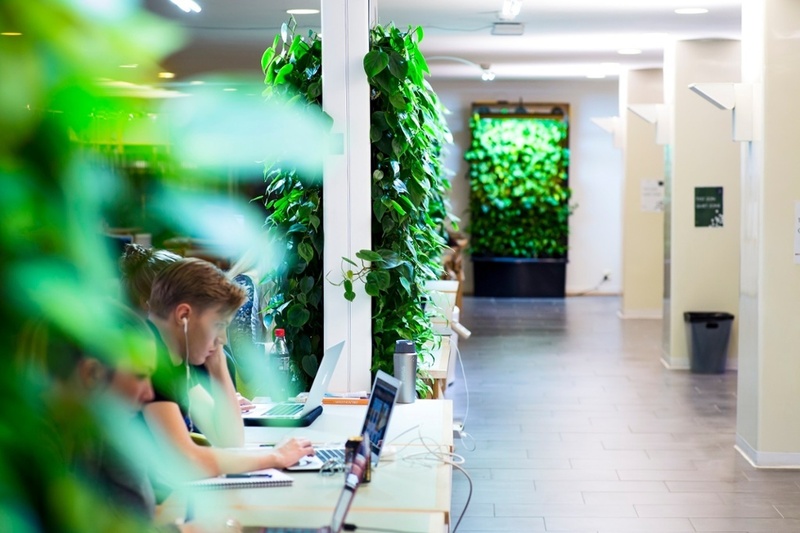 This year Hanken started investing in Naava smart green walls with the intention to improve the indoor air in study areas at Hanken’s campuses in Helsinki and Vaasa. “These walls are placed in spaces where our students spend long periods of time, such as the library and group rooms. The purpose of these walls is to, through improved indoor air quality, provide better study conditions for our students, who occasionally sit long periods of time by their exam books”, said Rector Karen Spens. In order to examine the effects of the green walls, a survey was conducted among the students studying in the library both before the walls were installed and one month after the installation. The students received no information about the walls in advance. The results show a clear positive effect on the general well-being already after a short period of time. "Of the respondents, 32,7% felt that the air quality in the library had improved and fewer students reported negative symptoms, such as headache and dry eyes. 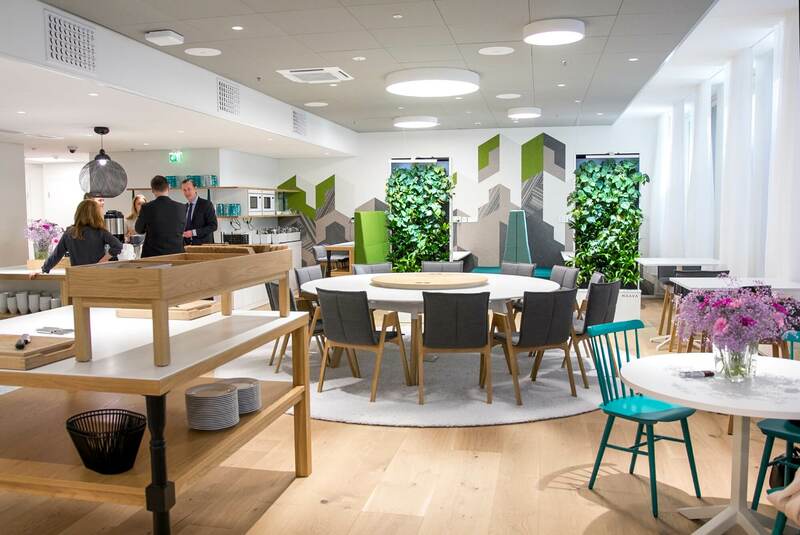 In addition the green walls were considered as a boost to the general atmosphere of the library," reported Tua Hindersson-Söderholm, Head of the Library. 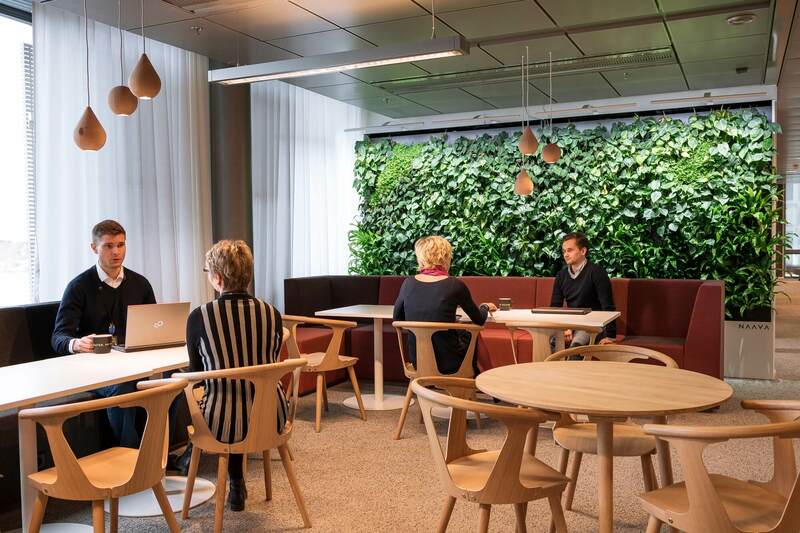 The experienced and respected architects of Hanken, Johannes and Riikka von Martens, have designed the most suitable and reasonable places for the smart green walls around The Swedish School of Economics in Helsinki in co-operation with Naava. 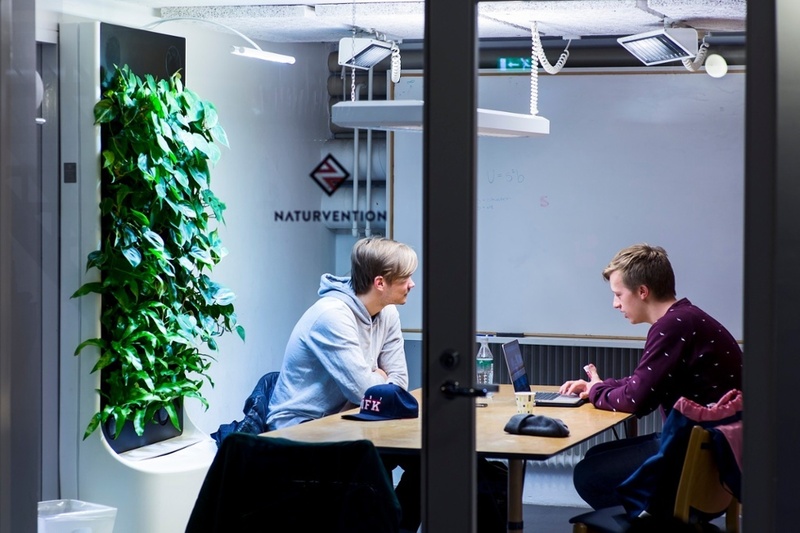 Naavas are placed all over Hanken to improve the indoor air quality and general comfort.